Bring Some Color & Heat to your Combo Container! Combination containers give you the freedom and flexibility to grow different plant varieties in one small space. Use two, three or four plants together that have similar growing needs and end up with a very eye-catching container. Bring together the colors and kick of culinary spices in this easy-to-grow container. 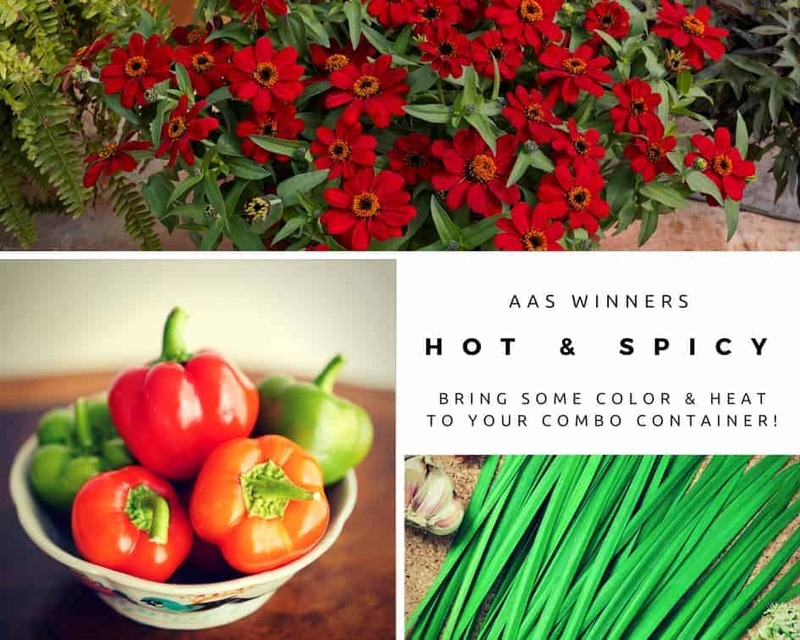 Try these three AAS Winners: Pepper Chili Pie, Zinnia Profusion Red, and Chives Geisha Garlic, to make this container a bright spot in your garden and recipes! 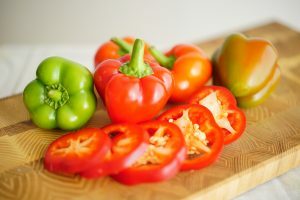 A unique miniature Bell Pepper that is mildly hot when fruits turn red. These peppers are compact, easy to grow and adapt well to a container. Each plant yields 25 to 30 fruit and can be eaten fresh or cooked. These upright plants grow 18-32 inches tall and makes a perfect addition to any container garden. Geisha is a vigorous grower with a nice ‘just-right’ garlic flavor. Slightly wider, flatter and more refined leaves topped by pretty white flower stalks late in the season mean this is another edible that can serve a dual purpose as an ornamental. 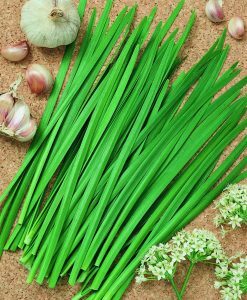 Garlic Geisha has bright green leaves with white flowers. Enjoy fresh or dried or even in an infused oil. Container gardening is a fun and easy way to enjoy the benefits of gardening without the need for a large garden. Look to AAS Winners for proven performance in large or small gardens!